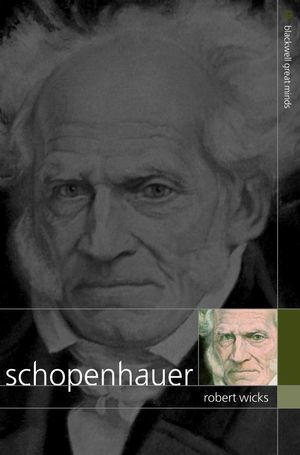 This innovative volume presents an insightful philosophical portrait of the life and work of Arthur Schopenhauer. Describes the relationships between Schopenhauer’s thought and that of Hegel, Nietzsche, and Wittgenstein. Robert Wicks is Associate Professor of Philosophy at the University of Auckland. He is the author of Modern French Philosophy: From Existentialism to Postmodernism (2003), Nietzsche (2002), and Hegel's Theory of Aesthetic Judgment (1994). He is also the author of the Stanford Encyclopedia of Philosophy entry on Schopenhauer. Chapter One: The Philosophy of a Nonconformist (1788-1860). I. The Unsettled Years: 1788-1831. II. The Stable Years: 1833-1860. Part I: Schopenhauer’s Theoretical Philosophy. I. Mind-Dependent Qualities versus Mind-Independent Qualities. Chapter Three: The Principle of Sufficient Reason. I. The Root of All Explanation. II. The Four Basic Forms of Explanation. Chapter Four: Schopenhauer’s Idealism and his Criticism of Kant. I. The Rejection of a Mind-Independent Reality. II. Kant’s Theory of Perception. III. Kant’s Use of the Term “Object”. IV. The Logic of Manifestation. Chapter Five: The World in Itself as a Meaningless and Almighty Will. II. The World as Will. III. The Two-Tiered Objectification of the Will: Platonic Ideas and Spatio-Temporal Individuals. Chapter Six: Critical Interpretations of the World as Will. I. Scientific Knowledge, Philosophical Knowledge, and Mystical Knowledge. II. Regular Time versus the Eternal Present. Part II: Schopenhauer’s Practical Philosophy. Chapter Seven: Endless Suffering in the Daily World. I. A Universal Will Without Purpose. II. The Purposelessness of Schopenhauer’s Thing-in-Itself. III. Life as Embittering: Schopenhauer and Buddhism. Chapter Eight: Tranquility I: Sublimity, Genius, and Aesthetic Experience. I. Platonic Ideas and Aesthetic Experience. II. Artistic Genius and the Communication Theory of Art. III. The Hierarchy of the Visual and Verbal Arts. V. Music and Metaphysical Experience. Chapter Nine: Tranquility II: Christlike Virtue and Moral Awareness. I. Empathy as the Foundation of Moral Awareness. II. Intelligible, Empirical, and Acquired Character. Chapter Ten: Tranquility III: Asceticism, Mysticism, and Buddhism. I. The Possibility of the Denial-of-the-Will. II. Christian Quietism, Yogic Ecstasy, and Buddhist Enlightenment. III. Asceticism and Spiritual Purification. Part III: Schopenhauer in Perspective. Chapter Eleven: Schopenhauer, Nietzsche, and Eternal Life. I. The Question of Life’s Value. II. Funereal Imagery and Nietzsche’s Theory of Tragedy. III. Schopenhauer’s Moral Awareness and Eternal Recurrence. IV. The Eternalistic Illusion of Supreme Health. V. Nietzsche’s Madness and Eternalistic Consciousness. Chapter Twelve: Schopenhauer, Hegel, and Alienated Labor. I. The World’s Essence: Rational or Irrational?. II. Labor, Imprisonment, and Christianity. III. The World as Will and Representation and “Self-Consciousness” in Hegel’s. Chapter Thirteen: Schopenhauer, Wittgenstein, and the Unspeakable. I. The Quest for Absolute Value. II. What the Philosophical Investigations Cannot Say. Conclusion: Idealism and the Will to Peace. I. The Plausibility of Schopenhauer’s Idealism. II. The Explanatory Weakness of a Blind and Senseless Will. III. The Prospect of Peace.